Geomex: Outdor/OoH Advertising Measurement System. 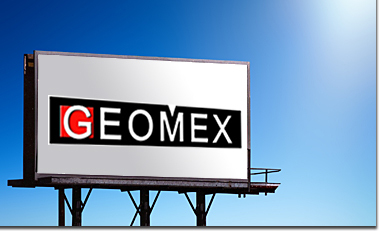 GEOMEX is the established Out-of-Home Advertising Audience Measurement system in Spain. Thanks to GEOMEX, it is possible to have Audience data on Outdoor Advertising networks in the main Spanish cities and metropolitan areas. Media agencies, planners and advertisers can plan their campaigns using coverage data, impacts, OTS and GRP of desired targets, which allows OoH to be planned and commercialized using the same metrics as other advertising media. Surface area of the pannel. Calculating the OoH advertising audience requiresin-depth knowledge of the normal movements and commutations of the population. CUENDE has registred the movements of 21,436 individuals. The fieldwork included the data obtained from 7,200 respondants equipped with an A-GPS traking device as well as information obtained with more than 14,236 personal interviews. The Audience data can be integrated with software developed by CUENDE Infometrics (Monitor OoH, Patrimonio AOL, Quantum) as well as planning software of other companies such as Tom Micro.